Hope you had a great February. We have been working very hard here at Jeffalytics, with several projects launched, webinars given, and other awesome activities in the world of analytics. It’s really great to see a plan come together, and that has been my focus in 2016. 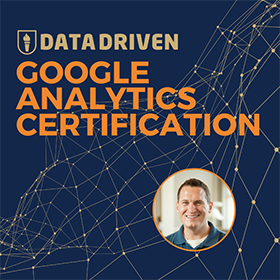 Delivering valuable knowledge about digital marketing and analytics is an important part of the mission of Jeffalytics, and we have made a lot of progress this year. What were some of these projects? Well, I finally created a YouTube channel, and started to post weekly videos to the channel in February. The goal is to publish one video per week for a year and see where it leads things. It might not seem like much, but with that production schedule, we will see 50+ videos on the channel. It would be incredible to look back at the year and think about that accomplishment. We have also started season 2 of our podcast. The first episode featured Angie Schottmuller, and it was really inspiring. The rest of season 2 is shaping up to be an awesome lineup as well. 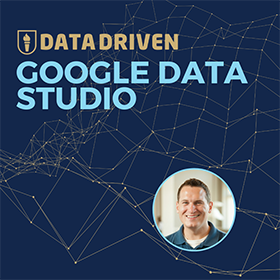 In addition to those projects, I have also recorded tons of videos for my Google Analytics course (more below) and moved the PPC Course to a new platform. These massive undertakings are going to set the tone for any successes we achieve in 2016. 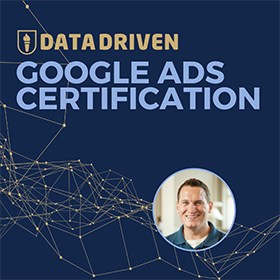 If you’re keeping track, we have moved all of the websites owned by Jeffalytics to new web servers, one brand new course was launched, and another was moved to a new platform. We have replaced our email system and done many many more technology overhauls over the past 3 months. Hopefully I won’t have to touch a line of code for a few years after this one. Autotrack for analytics.js – The web has changed a lot since the early days of GA, but analytics implementations have stayed pretty much the same. This tool helps to improve tracking automatically. PAVEIQ – Another tool for Google Analytics referrer spam removal. They pledge to keep you up to date, so might be worth checking out further. Stéphane Hamel Summarizing Google Referral SPAM (@SHamel67) – This might be the most definitive guide on referral spam out there, and it’s all in the form of a Google+ post. Follow Stephane on Google+ to see into the mind of an awesome GA thought leader. Guide To Gmail Ads by Eric Siu (@ericosiu) – What if we told you could still find targeted clicks for under $0.15 in AdWords today? Marketing the TNW Way #8 by Martijn Scheijbeler (@MartijnSch) – Google Tag Manager, we’re in love! IP Anonymization in Google Analytics by @iubenda – The _anonymizeIP function takes the end-users IP and sets the last digits to 0, therefore anonymizing the end-user before the processing and storage begins. This was definitely my most productive month since I started this newsletter. What was the secret? Working 60+ hours a week was one. The second was actually the creation of videos. It turns out I can create a video faster than I can write a blog post. So I record a video and then write a blog post that describes the video. Suddenly writers block is gone! Never thought that would be the secret to writing more. We will see if it sticks.